Eaton Baptist Temple congregants welcome their new Pastor Bryan Hoskins. Pastor Hoskins and family, wife Charissa, daughter Taylor, and son Benjamin, have moved from the Cincinnati area to serve in Eaton. Eaton Baptist Temple is announcing the retirement of Pastor Lowell Spencer, effective Dec. 31, 2017. EATON — Eaton Baptist Temple has announced the retirement of Pastor Lowell Spencer, effective Dec. 31, 2017. Spencer was born in Key, Kentucky to Sheridan and Cinda Spencer. The family moved to Middletown in 1939 and later moved to Eaton. 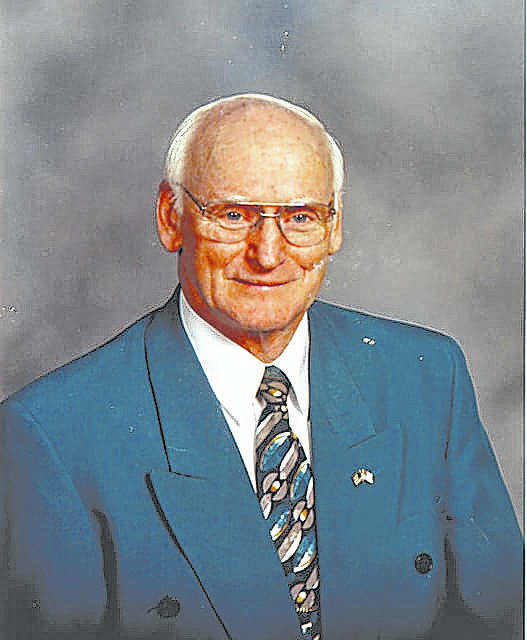 He graduated from Eaton High School in 1954, where he was active in football, baseball, and track. He excelled in track, winning the state 440 title in 1954. Spencer married Carol Fouble in August of 1955. He graduated from Arlington Baptist college and later moved to Orlando, Fla. in 1958, where he served as music director and youth pastor at Orlando Baptist Temple until 1960. He served as pastor to Northside Baptist Church in Orlando until January of 1964. He came to Eaton Baptist Temple in January of 1964 and served as music director and Sunday School Superintendent with Pastor Lynn Randall until he accepted the position of Pastor in 1966. During his 50 plus years with Eaton Baptist Temple there were many achievements made. When he came they were supporting 10 or less missionaries. The Temple now supports over 80 missionaries and also purchased two homes that are used for the missionaries to stay in when in the area. Under his leadership the Christian School “Preble Christian Academy” was opened in 1975. Due to many circumstances the school closed in 1995. During his many endeavors in the past 50 years, he had a loving and caring wife in Carol, who worked closely by his side. She taught Sunday School, taught in the Christian School, and served as both pianist and organist. She served as Church Secretary from 1995 until present day. She also accompanied Spencer on all visitation as well as many other duties. Pastor Spencer and wife Carol Spencer have touched many lives in Preble County with their loving and caring ways. They truly are great witnesses for the Lord, according to members of their congregation. Pastor Spencer will be serving as Pastor Emeritus. 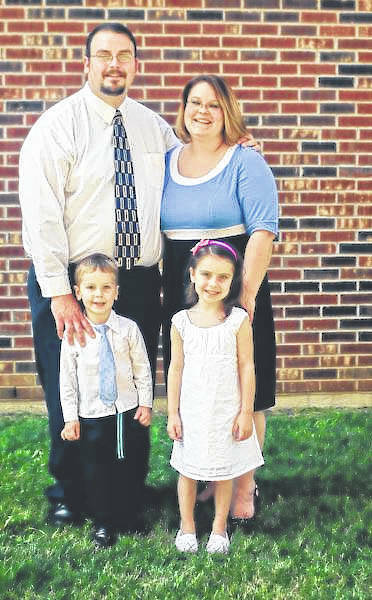 Eaton Baptist Temple also welcomes a new pastor, Pastor Bryan Hoskins. Pastor Hoskins and family, wife Charissa, daughter Taylor, and son Benjamin, have moved from the Cincinnati area to serve here in Eaton. Pastor Hoskins attended classes at Grace Baptist Church in Middletown and Heartland Baptist Bible College in Oklahoma City, Oklahoma. His wife Charissa attended there as well. He was an active member of Southland Missionary Baptist church in Cincinnati, where he served as Youth Pastor from 2010 until coming to Eaton Baptist Temple. While attending Southland he was also involved in many ministries of the church. Eaton Baptist Temple welcomes the Hoskins into the church family and look forward to serving with them. Anyone wishing to contact Pastor Hoskins or having questions about Eaton Baptist Temple can call 937-456-3206. The church will be honoring Pastor Spencer and Carol with a carry-in-meal at the Grange, followed by a program. https://www.registerherald.com/wp-content/uploads/sites/41/2018/01/web1_Hoskins.jpgEaton Baptist Temple congregants welcome their new Pastor Bryan Hoskins. Pastor Hoskins and family, wife Charissa, daughter Taylor, and son Benjamin, have moved from the Cincinnati area to serve in Eaton. https://www.registerherald.com/wp-content/uploads/sites/41/2018/01/web1_Spencer.jpgEaton Baptist Temple is announcing the retirement of Pastor Lowell Spencer, effective Dec. 31, 2017.